Many customers we have had over the years have made some very impressive pond excavations, but the biggest mistake we see is people ignoring the stability of the ground and digging their hole at an almost vertical angle. 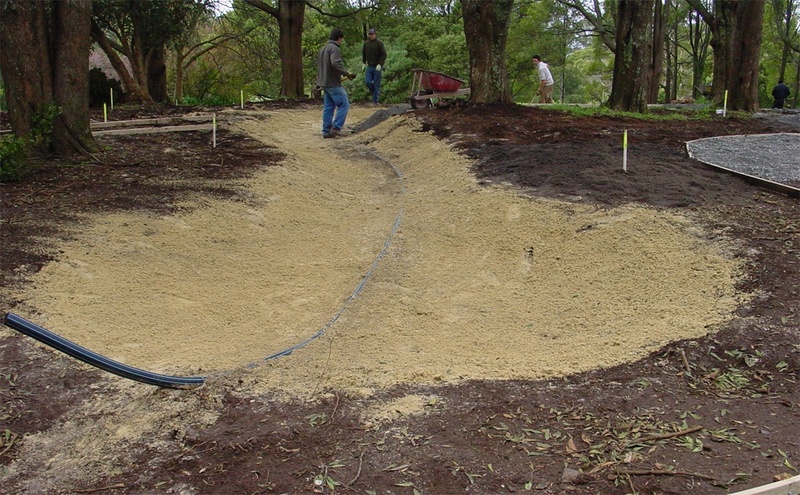 Creating an excavation like this is only suitable if you plan on constructing a structural frame inside your pond to achieve your vertical walls. If you plan on simply using the existing earth as your vertical wall you run the risk of the side wall collapsing when weight is placed too close to the edge or after a heavy rain. If you are not planning on constructing an internal structure to your excavation we recommend that you dig your sides at no less than 20° from vertical (75mm inwards for every 225mm of depth). If your pond is an above ground construction you must also remember the amount of pressure that the water will be exerting onto your structure. The higher you go, the higher the amount of pressure. And if you are building your water feature on a deck or other above ground construction, you will need to take into account the weight of the water feature structure and the weight of the water. Remember, 1 litre of water weighs 1 kilogram.